Croatian cloud-based code-editing service Codeanywhere, a cloud-based code editor, announces that they have raised $600,000 (460,000 Euro) from World Wide Web Hosting, which is the parent company of Site5 Web hosting. The company, which was co-founded in 2011 by Ivan Burazin as a re-boot of the service PHPanywhere (founded in 2008), bills itself as a “Google Drive for developers” and now claims more than 150,000 users. I spoke with Burazin and he told me that they obtained an Angel investment of $35,000 (26,900 Euro) 2 years from an unnamed investor, but spent that and then developed the service to the point that it would be profitable on its own. 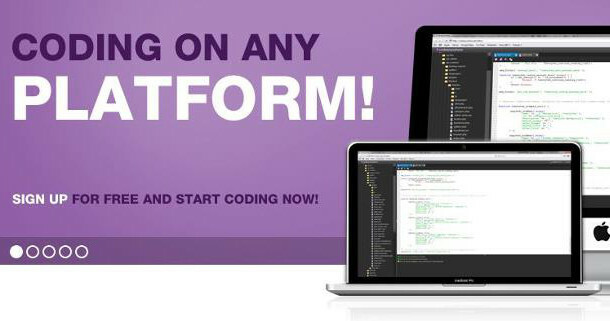 The platform that they’ve created allows developers to write colorized, syntax-checked code on almost any device and provides support for support for the most popular programming languages. According to the company, this new funding will be used for scalability, user acquisition, and the development of new features like collaboration tools and native mobile apps. Codeanywhere currently offers both free and premium services, which the premium version available for $5/month (3,85 Euro) and a premium team version due to be offered in the near future. There are quite a few competitors, but some of the names out there include Cloud9 IDE, Codenvy, Koding, and others. As Mike Butcher noted today on TechCrunch, Koding presents some stiff competition, have already raised $9,25 million (7,09 million Euro) of its own. This startup, coincidentally, is backed by RTP Ventures, the Western arm of the Russian ru-Net holding.